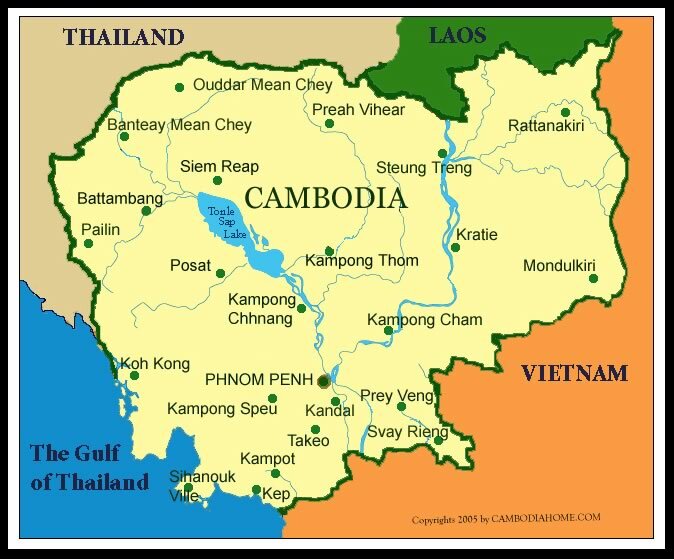 Cambodia, formally known as Kingdom of Cambodia is a country in the Southeast Asian Region bordered by Thailand to the northwest, Laos to the northeast, Vietnam to the east, and the Gulf of Thailand to the southwest. It has a population of 15 million with Phnom Penh being the capital of the Cambodia. The population is 90% Khmer, 5% Vietnamese, 1% Chinese and 4% comprise other ethnic groups. It is home to the magnificent temples of Angkor Wat. Despite being considered an impoverished nation, Cambodia is considered to have one of the fastest growing economies in Asia with Agriculture being the dominant economic sector. 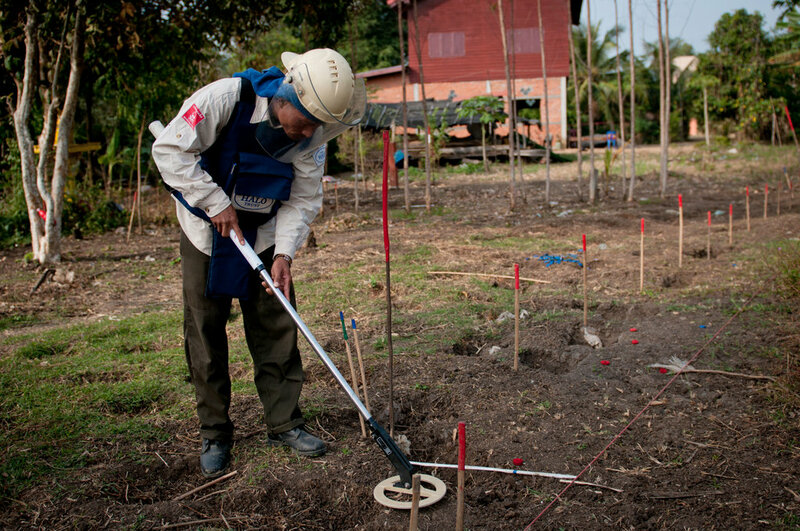 As a result of three decades of war, Cambodia is now facing a challenge regarding land mines which are prevalent in the rural areas. The country has an estimated number of 40,000 amputees. The Cambodian Mine Action Centre estimates four to six million mines that were placed by governments and factions that clashed during the Civil War in 1970’s and 1980’s. A survey in 2002 revealed that 20% of the majority of the villages are still plagued with land mines. With the brief background, Non-Government Organizations mostly from European and Western countries such as Norway, Australia, Canada and the US has been helping the people of Cambodia rebuild and address the healthcare issues of the country. Based on actual interviews, patients do have direct access to Physical Therapy services. NGO’s have established rehabilitation centers all over the region to where patients can walk-in and receive physical therapy without referral from a doctor. They have built dormitories where patients who came from far flung areas can stay for months to be able to receive care. Occasionally, when cases become complex, doctor referrals are made. People who live in the cities such as Phnom Penh, in the Outpatient setting, it is common that doctor referrals superseded physical therapy visits. Degree/Credentialing: According to WCPT data, International University which has its main campus in Phnom Penh offers Bachelor of Science in Physiotherapy.Per the Cambodian Physical Therapy Association, national qualified PT’s graduate from Technical School for Medical Care, University of Health Science, and Ministry of Health. The curriculum is mostly patterned from European and Western school systems. The Cambodian Physical Therapy Association, a member of the World Confederation of Physical Therapy since 2007, was established in 1994 by a team of physical therapists. It was recognized by the Ministry of Interior, Royal Government of Cambodia in 1997. CPTA provided free physical therapy consultations and raised awareness about the profession by performing outreaches to high schools. Many of the patient population consist of people who were affected by physical disabilities that require prosthetics, orthotics and adaptive equipment. Recently, with the continuous modernization of healthcare provision, neuromuscular and musculoskeletal conditions such as arthritis, back problems, hemiplegia, leprosy, polio, meningitis, developmental conditions and bone and brain tuberculosis are amongst the prevalent conditions. According to Dr. Samedy, the most important health problems are malnutrition, malaria, tuberculosis, and diarrheal diseases. The top five causes of death are Coronary Heart Disease, Tuberculosis, Stroke, Influenza and Pneumonia and HIV/AIDS. Per interview, family support is strong amongst patients however due to socioeconomic status and geographic considerations, some families are finding it difficult to be physically present with the patients. Per interview with a volunteer, delivery of care is organized and efficient since a lot of healthcare providers are streamlined according to the Western system. Dutch physical therapists are not uncommon in Cambodia. Upon research, most settings are through NGO run rehabilitation centers and private centers. It is said that in theory, healthcare delivery in Cambodia is free amongst its people however some provisions that are harder to acquire, patients have to pay for. 6.) Globalgiving.org/pfil/7819/ph_7819_25143.jpg. Accessed November 20, 2016.